It’s really a long time myth to say that politicians are corrupt. All are 234 MLAs in Tamilnadu single? With no family or supporters? Is it like just those individuals are responsible for it? Are we too honest that can’t be blamed? Every individual politician in power has a family, not just a small one like ours. It’s quite bigger. An encouraging life partner, at times managing his illegal businesses including smuggling, mafia; demanding children and grandchildren giving no care to the rest of the world, living a luxurious life!! All they need is just Money; Definitely a bunch of lazy goose just because they know no work other than “advising” and obviously it’s just for money; finally, the highly skilled criminals in various fields just for Money. –This is a politician’s first circle that get benefitted directly. His relatives; his in-laws’ relatives; relatives of bunch of idiots around him; depend largely on him. There is a hell lot of large dealings and partnerships amalgamate to make profit– This is a politician’s second circle. Generally, as we know, the politicians in power will misuse that power and take up government contracts, enter into business in fields that he has influence in. It could be trafficking, liquor manufacturing or smuggling, it’s all just for money. All of a sudden he becomes an entrepreneur becoming a mafia in all business he enters; Employer. For employees, he is god, for he showed them means to earn their income, just money. Most of them semi-skilled or illiterate becomes prey of the vested interests of that politician. Now there forms a big chain in his business because he is in power and doing him favor would be either for defense or for benefit. The corporate tie-up with him for its own profit. The politician now in power can bring people to government posts through nepotism, who will in-turn serve the politician rather than the government. – This is a politician’s third circle. People in those three circles benefitted by him will keep telling people about his wealth influence and the how we can make money by using him. So these people will support him just because they heard good about him. Some support him with no solid reason. Some support because he is their caste-mate or religion-mate!! – This is his 4th circle. All are 234 MLAs in Tamilnadu single? Now that they have formed such a big colony, they are not single anymore. We do support them. 80% of the population in TN falls under this colony. We all are here just for Money or for caste religion or no reason. In the remaining 20% of population, some making money in name of religion, meditation and so on. For them world is a beautiful place to live in. For them individual’s inner peace is important despite seeing cruel killings and endless miseries. Some are ignorant of it, some say its karma. But we know that it’s not the bloody karma but it’s the irresponsibility of the politicians and the bureaucracy. People who are honest, that never cheated anyone for money, never had greed for money are rare to find, can be easily counted and the pity is most of them would be leftists, or organize themselves into small groups ending up in futile or remain suppressed over generations. It’s very unfortunate people who believe in need for change in the existing political system meet-up in social media and wonder ‘when many people have similar thoughts, why is the political situation still worse’, for many do not know about the so called common people. Does Money really matters? Money is just a tool. Psychologically, the need is more than money. Man needs it to feel superior; its for him to show-off to his society, he want people to follow him, respect him and feel god-like. It is all for the FALSE PRIDE that the society has inculcated in him. So what is the problem actually? How politicians are getting the idea of corruption. Or how he is able to continue when he is wrong? People are not cultivated to see what’s moral and immoral. We are just living for our personal benefits, ethical or not doesn’t matter. Caste system continue to exist not just because of the caste leaders, there is a need for one. People demand for that structure, even this generation has not come out of it. Religious disparities and hatred continue to exist because there is a need for it to keep the religion alive. The priest has to dishonor the other religion, otherwise people won’t hold to it. And best part is caste religion and politics are hand-in-hand. It’s more like a dead-lock situation. Its more like, we know fast-food kills, we speak about it a lot in social media but the tragedy is at least one fast-food shop is opened every day and fast-food centers are most active at nights. What is unfortunate? As long as there is a demand, the supply continues, same applies for the state. When people are not ready to throw the corrupt parties away, it implies the parties have already created the demand for them; the colony is already formed. The big question is, we have social responsibility, we need to protect the system- the natural resources the suppressed and the victims, how are we going to do it? Are we well equipped? Are we educated and organized to agitate? What are we upto? Religious Socialism: is this really a socialism? The rise of global inequality causing super structure to undergo a change on economical stand. It's not a sudden change happned in super struture but across the previous century we can find many such incident of superstructure inheriting or claming principles of socialism. The main super structure claiming the principles of socialism is religion.Our question raises after claims of Pope Francis. Even Thousands of religion across the globe,our point of discussion going to be only two junior most religion's Christanity and Islam. Our defence aganist this claims is must to bring oppressed class from the cluthes of opressors to the path of scientific socialism. Two Years ago a claim for socialism came from head of 1.2 billion people pope francis. His claim was "I can only say that the communists have stolen our flag. The flag of the poor is Christian. Poverty is at the center of the Gospel,". 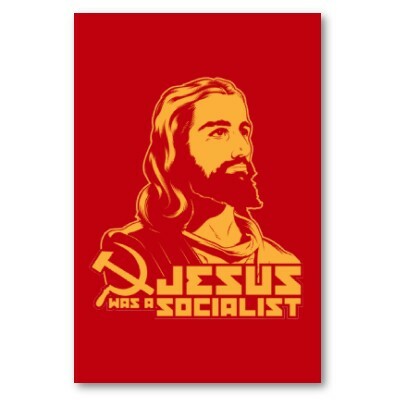 Is it so communism or socialism is part of christanity teaching?. Pope's claim were based on the prmitive christain society established after christ birth, preachings of apostle and bibilical contents. Even then pope is not the first person to do so the claim but many anti-marxist to claim over centuries. After death of Jesus christ, 12 disciples or apostle went on preaching message of jesus christ on start of AD in which lots of small community created based on religion. They lived in a society in which all wealth generated were distributed among them based on need and equality.Then on a small society based religious activity developed into chruch based society.Chruch become co-partners with ruling class,feudal landlords and capitalist. they become main role players in distribution of wealth. Over centuries chruches itself become oppressors of people.So Pope have nothing to blame others rather than his own clan of pope's,bishops,fathers and nuns. Even though there are clear mention about mean of distribution, we cant reconize it as socialism. Since claims speaks only about means of distribution but not about means of production which generates the wealth. Among it also we cant find trace of equal means of distribution or distribution based on contribution. Today's concern of pope over capitalism and favouring socialism looks strange because francis precessdors pull down mighty socialist blocs to rebulid roman catholic empire. Zakat means a tax. A Muslims in between two lunar calendar or two Ramadan need to donate 2.5% of wealth as charity or tax. 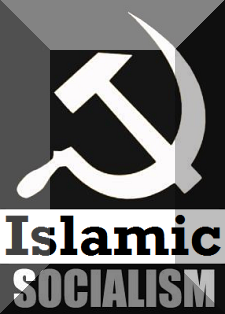 In Islam to so called claim of socialism speaks about means of distribution rather than means of production. More over Zakat more complex way of distribution since it as 8 rules in distribution like need to be Muslim, need to be in poverty or beggar or slave or jihad or Zakat collector Etc. In both religious claims its much of means of distribution and fair amount distribution for lumpenproletariat under such scenario inequality can't be driven out of society. Since means of production like land,factory,tools etc are private which generate massive wealth need to distributed. Religion itself a organization of exploitation, Religions ineffectiveness to bring equality was mainly due to its exploitive nature. Religious claims of means of distribution goes invalid since religion as a organization bounded with land l,wealth,capital etc. To maintain its wealth religion always favoured ruling class,feduals,land lords etc rather than oppressed class. Religion is also breeding place of patriarchy society, since gender equality must to abolish private property. Myth surrounding religious socialism need to be broken for raise of scientific socialism.So Religious socialism can never bring equality on society within the framework of religions.